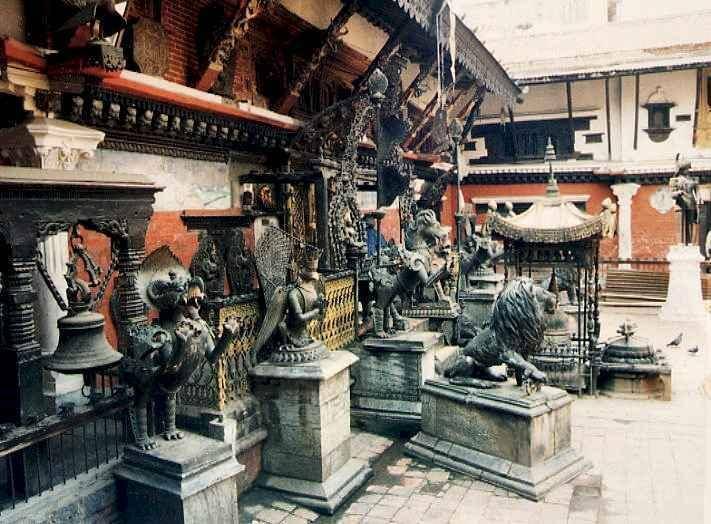 Okubahal or Uku Bahal is one of the best-known Buddhist places of worship in Patan. This place is filled with several small shrines and sacred images. The area around this place has three courtyards. There is stone-paved courtyard with two storey buildings with attractive roofs with golden embellishments and has some fine metal works such as statues of elephants, peacocks, rampant goats, Garudas, a pair of Victorian style British-lions. The back courtyard is actually a type of modern architecture and it belongs to the residents living there. This place was founded by Shivadeva Verma and was later renovated by Rudradeva.